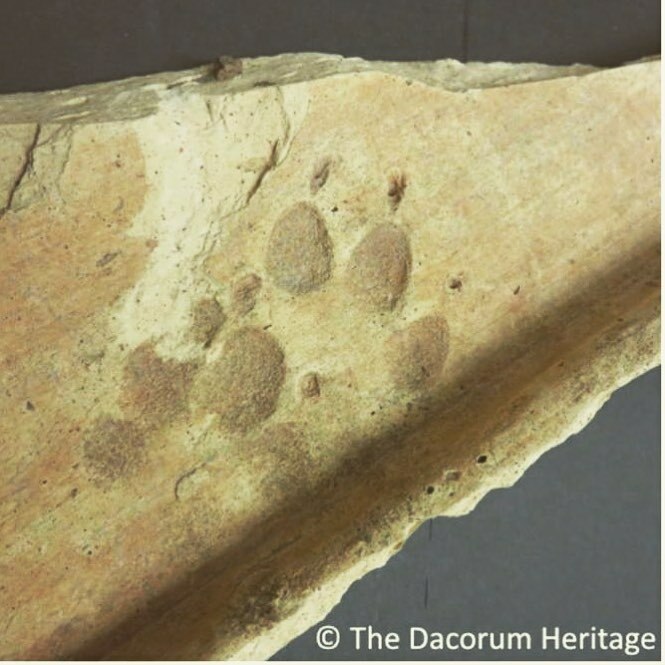 Roman Tile Paw Print | The Dacorum Heritage Trust Ltd. This is probably the oldest dog paw print in the collections. The tile fragment was excavated during the original Gadebridge Roman Villa excavation organised by Dr. David Neal, in the 1960’s. Tile Fragment with Dog Paw Prints.